The Wine House, a wine bar owned and operated by Recinos Imports Ltd., offers a collection of quality wines from across the globe. Sit and Sip in our cozy wine bar with friends or stop by and purchase your wines to go. Along with some of the best wines offered in Belize, The Wine House carries an array of local and international artisan cheeses and meats that pair perfectly with any wine of your choice. As a trusted supplier of exceptional products and solutions for leading retail outlets, our newly created Food Service Division will have a comprehensive portfolio of delicious products, plus inventive programs and processes that drive sales while providing convenience and time – and labor -savings. Not only do we have several years of product expertise, but we will also serve the restaurant and commercial food service sector. 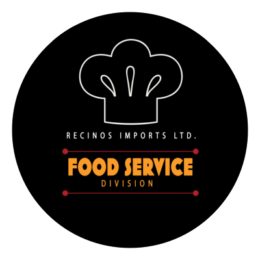 At Recinos Imports Ltd., our mission is to help our clients grow their sales and increase profits. We pride ourselves on our ability to meet the needs of our customers whether it be an independent convenience store or a multi-unit supermarket operator. We know that the key to keeping our customers happy is through providing ongoing support and service.